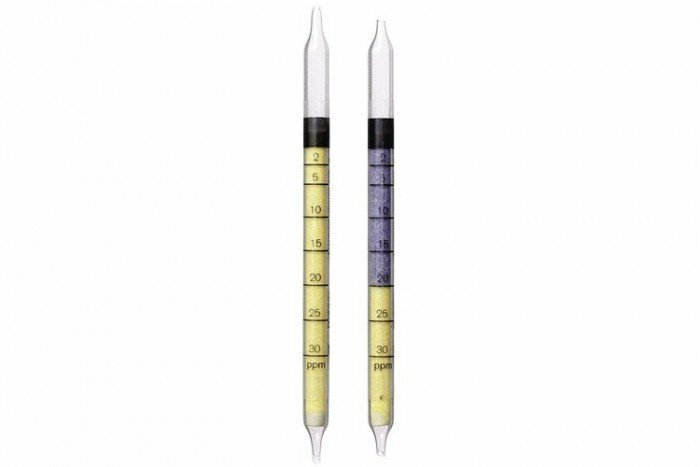 These Drager short-term gas detection tubes are for cyclohexylamine (2/a) and have a measurement range of 2 to 30 ppm. They are also able to detect a range of substances including Aminopropane, 2- Aminopropane and Isopropyl Amine. Please note the pack contains 10 tubes and have a shelf life of 2 years. Buy the Drager Accuro Gas Detection Pump by clicking here. This is required for the use of short-term gas detection tube. Other basic substances such as organic amines and ammonia are indicated as well.